The election was over two months ago, and the transition ends today. At 5pm Irish time, the Trump presidency begins. What happens next? Like many people, I was shocked at the election result and its implications. Clearly, even allowing for the quirks of the American electoral college system, the election result was close but decisive. While the Democrats have many what-ifs about Pennsylvania, Michigan and Wisconsin, so what? They lost, and will have to figure out how to convert a popular majority into an electoral one in the future. Looking forward from today, I remain baffled and genuinely scared about what the Trump presidency will bring. I happened to watch him speak briefly at the Lincoln Memorial event last night, and he remains startlingly vague about what or how he intends to do. His speeches remain vacuous and his tweets even worse. At the beginning of most of the presidencies in my memory, incoming presidents generally stood for something and were able to project pretty clear outlines of what they were going to do, irrespective of the parties they represented. With Trump, in my view there are - at least - three major concerns: his lack of qualification for the role, his competency for the political role and his personal behavioural traits. All three give rise to really serious concerns. The other issue is this: does he really want it? I really feel it's taken a sequence of pretty weird events, not least the eventual incompetency of all of the other candidacies, that have led to today. Will he really live with the constraints of the office for the next four years? For such a wealthy and successful man, to be subject in his 70s to the oppressive constraints of the office cannot be something he would have aspired to. In the end, I'm less concerned about Mexican walls or telling US CEOs to bring jobs back to America. Instead, what really scares me is that nobody has a clue what this man is going to do or say. I'm not given to rash predictions, but for one, I have real doubts if this man will still be in office in four years’ time. But I haven't a clue as to how that might come about. President Trump. Buckle up folks, it’s going to be a hell of ride. 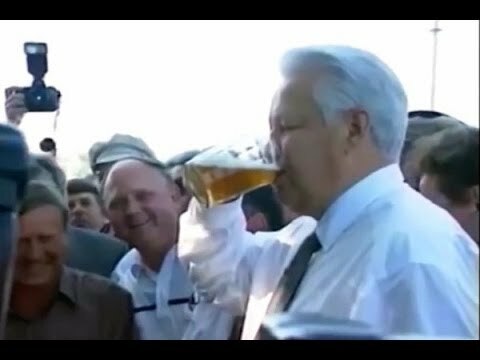 Boris Yeltsin was president for 8 years. If only Trump was a 'wheel him out when you need him' mannequin. Last edited by Boo-boo; 20th-January-2017, 10:29. He'll be well managed by the GOP - a monkey to their organ grinder. Depends on how willing he is to be managed. If he loses interest quickly it's to their advantage, they'll just wheel him out every now and then to rile up the base about Muslims or Mexicans or not being allowed to say Christmas anymore. I don't see it though. He loves himself far too much to become just a figurehead. He also genuinely appears to be mentally disintegrating. His campaign team inquired about missile launchers and tanks for the inauguration parade. He's essentially trying to put himself out there as a strong man dictator. This Russian campaign finance investigation could take care of him fairly sharpish though. Inside 2/1 to not complete his first term. I'd imagine that's unpresidented. He'll do a few grand gestures for the first year, but they'll manage him closely in the background. He'll get frustrated at the lack of support and time to get things done after that. He's probably going to clamp down hard on foreign business, which will appeal to the support base. If they can manage him safely enough after two years, they'll keep on for a go at a second term. If not, the knives will be out and expect a Russian investigation. You are right in that he could go full metal jacket at any stage though. For all our sakes, I hope that doesn't happen. wait until he gets a hold of the word impeachment or is that the same as unpresidented?